It’s not something most of us like to think or talk about. Violence occurring in the workplace is a scary scenario that we wish never happened. However, it’s important that employers are aware and prepared to keep their employees safe. According to the U.S. Bureau of Labor Statistics, we have seen an increase in the number of active shooter and workplace violence incidents across the United States. With the rise of these fatal workplace violence occurrences, it is even more critical for companies to have a plan and prepare employees for what to do if the unthinkable happens. Is Your Company Prepared for an Active Shooter Event? Do you know what to do if an active shooter should arrive at your workplace? Do your employees know how to stay safe? Training and practice are critical in being prepared for nearly any crisis situation. You have plans in place and practice drills for what to do in the case of fire and tornados. An active shooter event is another crisis for which employers should also prepare. Most schools now conduct training and drills to prepare children and staff for what to do if an armed intruder should enter the building; companies should also prepare their employees for what to do in the event of an intruder or active shooter arriving on-site. There could be various laws and government agencies that can come into play when addressing a workplace violence incident, depending on your location and industry. At a minimum, the Occupational Safety and Health Administration (OSHA) will likely be involved. The Occupational Safety and Health Act (OSH Act) requires employers to provide a safe and healthful workplace for all workers covered by the OSH Act. Employers who do not take reasonable steps to prevent or abate a recognized violence hazard in the workplace can be cited and fined. How OSHA determines “reasonable” steps is subjective and determined on a case-by-case basis. Your company may already be required to have an Emergency Action Plan (EAP). Some legal experts strongly recommend that your plan include how to handle active shooter situations. Having a plan and knowing how to implement it will increase the chance of keeping your employees safe in the event of an active shooter situation. strategic HR inc. has two well-trained experts in the areas of law enforcement, public safety, and military operations who created our “How to Prepare for an Active Shooter in the Workplace” training program. Our experts will customize the training based on your company’s individualized needs and location(s). Rest assured that our objective is not to invoke fear, but rather to empower your employees with the tools they will need to handle this type of crisis. Don’t put this off! Contact us to learn more or to schedule training so that you and your employees are prepared if the unthinkable happens. 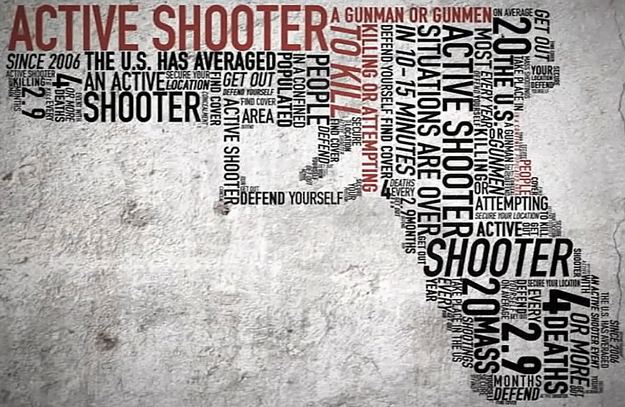 Are you prepared if an active shooter would come to your workplace? Contact us to learn about our customized training to ensure your employees are prepared and stay safe if the unthinkable happens.